Hello readers! today i am back with a new tip in order to help you out with some security issues for your PC or Laptop, however it’s not that much difficult for you people to settle down your PC or Laptop when it affected by Malware, but some where you don’t dare to do experiment while you serve to clean up some of your data on your PC. I am here to help you out with best free malware removal tools, so that so you can clean your PC when it affected by Malware or virus, Without losing any valuable data. The most irritating Malware of the present generation are Ad Injections. Yes, indeed they are Ad Injectors. Now a days i have seen many people suffering from some Ad Injections, which results in annoying internet users. Many people while browsing, in browser they see some pop up ads, Text ads on google search results place and annoying adult ads with ad injections on Smartphones, which can give huge revenue to the Ad Publisher. In fact those malware’s ain’t gonna steal your personal data. Programmers do that for greed and self profit, however it was not recommended for Ad publishers even though they break policies and Use ad injection malware’s and annoy users. So my dear readers if you face this kind of issues on your browser, PC or Laptop then worry not, i will help you out. 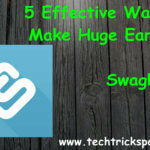 Here i am giving 5 best free malware removal tools, so that you can remove any sort of malware on your device. Many do feel uncomfortable to take suggestions or help from others, especially me! If i face any problem i ask Google rather than asking someone. So if you are same sort of me, then i will help you out sure, because i’m the one who give some valuable stuff to Google. Let’s get in to the topic.., See Malware tools needed not to be made for specific tasks, they can be any kind of softwares, either it may be specific Anti-Virus or Specific software, it might have capable of dealing with Malware, so maintain attention while reading. If you have any doubt let’s discuss in below comments section. All the tools which i mention below are personally used by me and my team! Windows Defender is an ever green, free and inbuilt tool ever given by Windows. Indeed it’s a very great Malware Detector and Removal Tool. Windows Defender is an inbuilt system in any Computer which performs on Windows Operating System, however many don’t use this great feature, but it works really great. 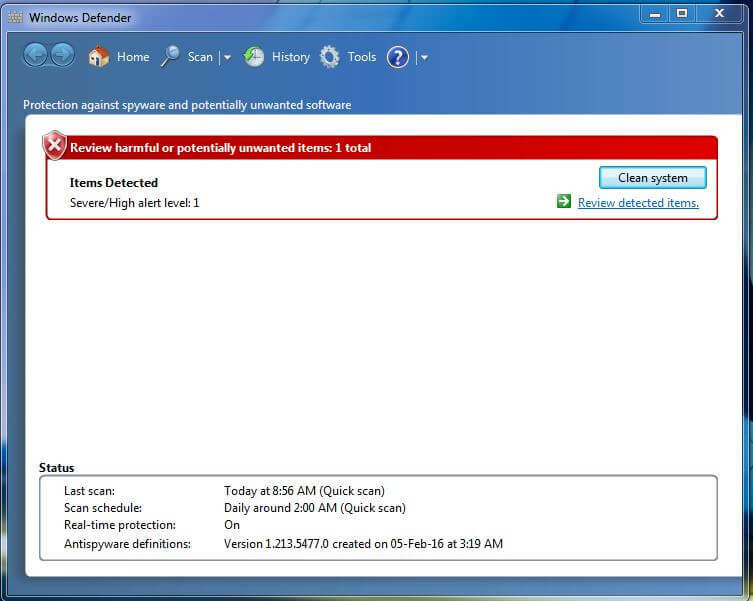 Windows Defender can scan any sort of Malware and fixes bugs Automatically. The usage of Windows Defender is very easy, simple and quick. Like other tools, it don’t have plenty confusing options, it have sure shot working tools which works outstandingly. As per my recent observation, now a days many Windows 10 users started using Windows Defender scan their PC’s, to detect and delete malware scripts, URL’s coming from internet and files. If you are a windows user and if you don’t use any Anti-Virus, then i recommend you to use Windows Defender, it performs greater than anything else. If you are not an Windows user, if you are iMAC user then keep reading to get best free malware removal tools. 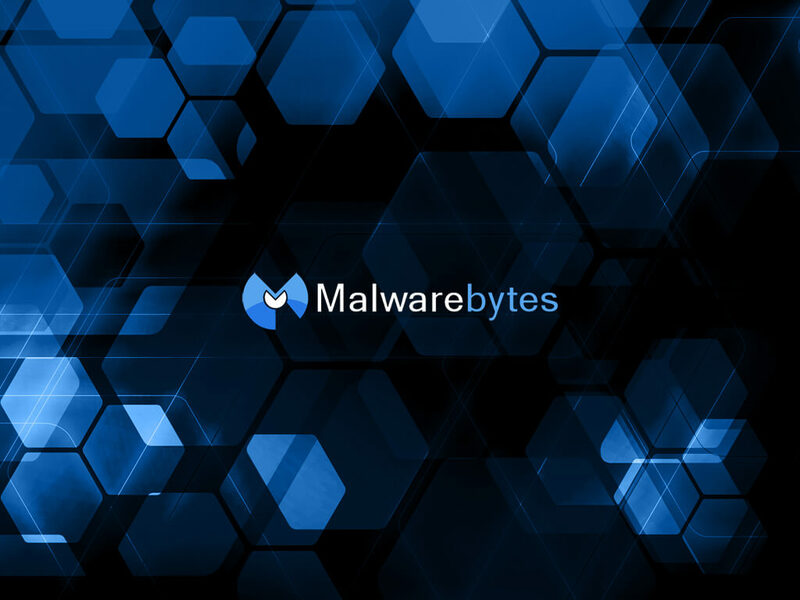 Malware bytes Anti Malware is the most recommended and suitable software to detect any kind of Malware which is present in your device either it may be pc, laptop or desktop. Malwarebytes Anti Malware will surely help you out to solve issues with Malwares, it works great. Let me share my experience with Malwarebyte Anti-Malware. Once i was downloading one software from popular software download, after the installation i have noticed some malware softwares are being installed on my pc, i thought to remove them later. After a couple of mins I’m Done with annoying Ads! I have no idea what to do. After 45 mins of deep scanning, Malwarebytes Anti-Malware found those Malware files and removed them. Malwarebytes Anti-Malware worked like a charm! 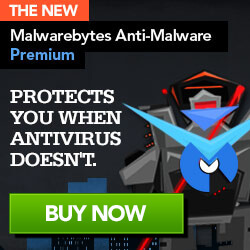 So, if you face any issue with Malware I recommend you to use Malwarebytes Anti-Malware. Spybot Search and Destroy is also one of the best Malware removal tool, i never used this before, but read very good reviews about these things, however i observed mostly positive reviews, and will gonna test soon if i face any Malware issue, currently i don’t have any malware issues 😉 because i’m a Anti-Virus user, and i wrote in detail about which Anti-Virus i use in my daily geek life. 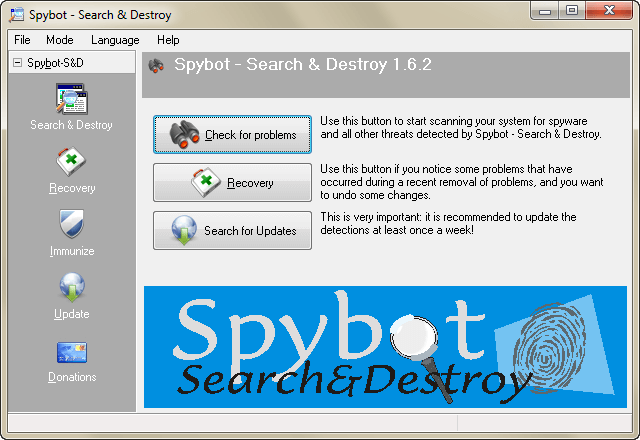 The Spybot Search and Destroy is an freeware malware removal tool, you can easily download this from any of the popular software service provider website. Indeed it’s an much needed anti malware if you won’t use Malware Anti bytes, in my research i have found that before Malwarebytes, this software Spybot Search and Destroy was performing well and good, but it is failed to reach advanced malwares, as a result Malwarebyte.org have overcame this site! Visit The sales page to know more features of this software, indeed it has a PRO Version as well! It has cool feature of detecting scripts and files, as well as malicious URL’s, however malicious URL’s are not greatly predicted with SUPERAnti Spyware, but the scripts and files will surely gets terminated with this SUPERAnti Spyware. If you want to kill Malware’s comes through Internet you must and should have a Anti Virus either it may be a Paid one or Free one, works greatly. This SUPERAnti Spyware works like a charm, and indeed i have noticed many using this now a days, however i found it useful while detecting affected files in my personal. It is also one of the greatest tool in the 5 best free malware removal tools. This software does have PRO version to deal with effective malware’s which can damage your PC sometimes..! In fact, instead of going with Malware removal software’s you can directly choose any of the following Anti-Virus software’s..
As i shared my experience while explaining at Malwarebyte Anti-Virus with you in above paragraph. That was true and in that Situation ANTI-VIRUS DID NOT WORK. Exactly! At some instances Anti-Viruses will never work out. Many do argue with me when i say this, but it was truly happened with me! My Paid Anti-virus failed to terminate Malware, then i went for Malwarebyte Anti-Malware which is an free of cost and easy to install. I didn’t say “Don’t Use Anti-Virus”, i recommend each and everyone to use Anti Virus because they save your PC’s from Hackers and also from creating new Malware’s. But my experience with Anti-Virus was weird, but today my Anti-Virus made my Laptop Virus free. 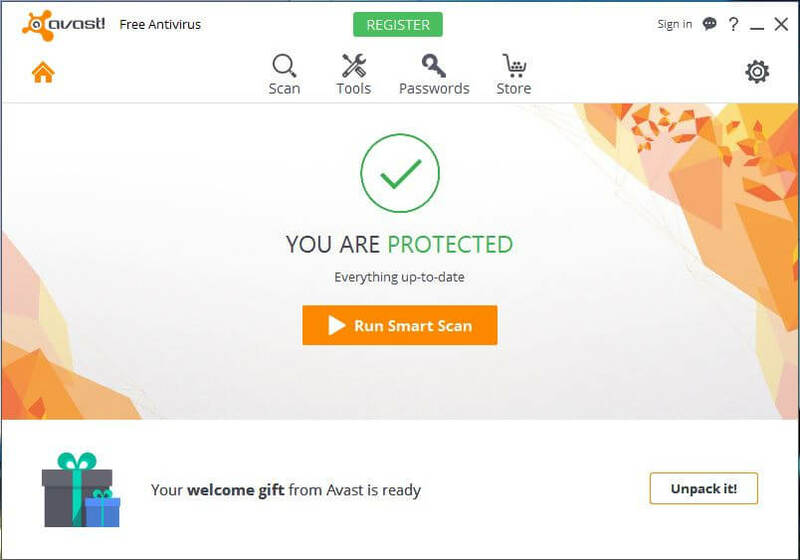 Indeed i am very thankful and grateful to AVAST! As per the current scenario Anti-Virus is must, and as i have noticed every Anti-Virus do have good ability of fighting with malware’s as a result they protect your personal data, and your personal computers from Digital Attacks. Either it may Quick Heal or Kaspersky, whatever it may be Paid Anti-Virus will always works like a charm! 90% of Malware’s gets removed before they become strong. So never underestimate the power of Anti-Virus. These are the 5 best free malware removal tools, and they serve you greatly to remove any kind of Malware at any instance! Ad Injections, Malware Scripts and Files are exists in various formats and contains various things, so never take risk to save them in your PC. Even if you notice then trash them permanently rather than moving to chest. Many people do this mistake! Anti-viruses are the things which everyone need to focus, so that your system never give chance to any Hacker, and never reveal your valuable, important and personal stuff. The Above Mentioned 5 best free malware removal tools are free of cost and some does have pro versions as well, if you can afford bit money to protect your device then you can purchase pro versions of these 5 if best free malware removal tools, if you can’t afford them then free versions do great job. The most used tools and the tool which i use personally in among 5 best free malware removal tools are Malwarebytes Anti-Virus by Malwarebytes.org and the other is Avast Anti-Virus. Because of these two since years are helping to have clean and neat devices in my hand! I have put my outmost efforts to present you the best tools for removing malware’s, so finally i decided to take a detail note on this thing in order to help you people like you!. After reading this much big thing, you might have learned something, do let us know about it in comments, and let us to know more in order to improvise in our next writing. The below comments section is specially meant for that. If you find this article helpful, if you notice that this site will help you greatly, then do share with your friends and also follow us on social networking sites so that we feel enthusiastic to write more in future. If you notice any mistake do let us know in below comments.